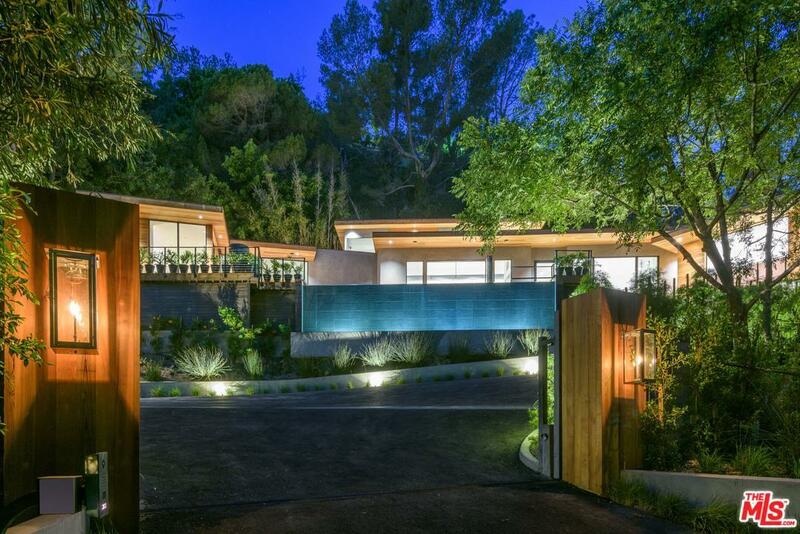 Newly Constructed Contemporary Estate: Set behind an impressive gated motor court in Lower Bel Air, up a long private drive and surrounded by some of the city's most significant estates. Nearly 5,200 SQFT of living space loaded with custom amenities, 12FT ceilings and incredible light from every angle. Boasting 4 large bedrooms and 5.5 Bathrooms, Junior Suite and bonus room. Predominantly single story, paying homage to Mid century clean lines and architectural design- Massive walls of glass doors that open to a 40 foot swimmers infinity edge pool off the main level with clean white wide plank oak flooring bringing the seamless transition between indoor and out. Multiple patios, courtyards, and professional putting green surround the spectacular 26K+ grounds- in total privacy sheltered by 100 year old trees, green from all angles. Parking for 12 Cars.